A conservative and a liberal stood side by side in June 2016 as President Obama signed into law the senators' hard-fought compromise legislation to overhaul the nation's bedrock chemical safety law for the first time in its 40-year history. Today, Louisiana's David Vitter is out of Congress, lobbying for the chemical industry that long supported him, and Sen. Tom Udall (D-N.M.), who remains in office, is battling his former legislative partner over the implementation of the Toxic Substances Control Act reform they championed. Their quick retreat from common ground to familiar opposition positions is an indication to policy experts that the TSCA reform deal was an extraordinary agreement that would be impossible to make today — and one which is now being viewed very differently by the lawmakers who pushed to enshrine it in law. With his party now in control of EPA and the Congress that oversees it, Vitter thinks that Administrator Scott Pruitt is doing a great job putting into practice the Frank R. Lautenberg Chemical Safety for the 21st Century Act — the law named for the longtime New Jersey Democratic senator who championed TSCA reform until his death in 2013. "I'm very encouraged," Vitter said earlier this year in the offices of Mercury LLC, the public affairs firm in Washington where he works part-time. 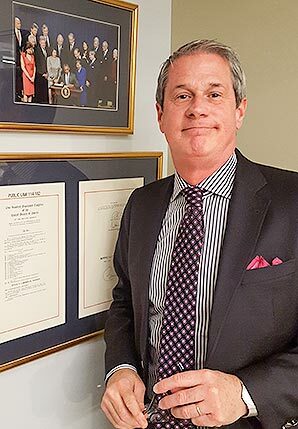 Vitter now spends most of his time in Louisiana, where he does legal work for the Ridgeland, Miss.-headquartered law firm Butler Snow LLP and lives with his wife Wendy Vitter, a U.S. district court judge nominee, and the youngest of their four kids. "TSCA implementation is a big challenge, but I think they're clearly taking it seriously," Vitter said of EPA. His tiny office in a former boiler factory includes framed copies of the Lautenberg law signed by Obama, New Orleans Times-Picayune stories on his electoral victories and other mementos from his 18 years in Congress. After a failed bid for governor, Vitter left the Senate last January. A month later, he joined Mercury and began lobbying for the American Chemistry Council and other clients (Greenwire, April 6, 2017). The chemical industry group paid Mercury $100,000 last year for advocacy work, according to disclosures analyzed by the Center for Responsive Politics, a money-in-politics watchdog group. Vitter, who cannot legally begin meeting with his former Senate colleagues until 2019, was one of three lobbyists at the firm on that account. ACC spent a total of more than $7.4 million on 66 lobbyists last year. In addition to Vitter, its advocacy roster included influential figures like Dimitri Karakitsos, who helped craft TSCA reform as a senior Republican aide on the Senate Environment and Public Works Committee, and Mike Catanzaro, who joined the Trump White House in February 2017 and returned to K Street last week (Greenwire, April 17). Vitter credits EPA's success at rolling out TSCA reform, as he and his clients see it, to the clear directions he and Udall provided for the agency to follow. "When we were working on TSCA, I was all for being quite specific and prescriptive whenever we could be in the statute. Now I'll be honest with you, one of the reasons I wanted to do that is I thought there was a very good chance there would be a left-of-center administration implementing it," he said. "But I think that's a very good model for whoever is implementing it." There is no disputing that EPA is on track to put in place the four "framework rules" included in the Lautenberg law, the last of which was proposed earlier this year (Greenwire, Feb. 8). But the Environmental Defense Fund — the green group that most strongly supported the TSCA reform package — is dismayed by the Trump administration's move to scale back the reach of key rules for prioritizing and evaluating the risks of chemicals. It is one of several groups that is now suing EPA over the standards (E&E News PM, Aug. 14, 2017). Udall, who before coming to Congress spent nine years as New Mexico's attorney general, thinks environmentalists are likely to prevail in court. "Administrator Pruitt and the Trump EPA are trying to undermine the integrity of the new law," he said earlier this month in his Capitol Hill office. "TSCA was there to look at the big picture and do the broadest possible reviews [of chemicals], and really they're moving in the opposite direction of the science today," he said. "What you look at is the combined, long-term, even low-level exposures resulting from multiple uses, and that's not what they're doing." Udall agrees with Vitter about the merits of the law they passed together. But he and other environmentalists argue EPA isn't just misinterpreting TSCA reform, the agency is effectively disregarding it. "The law provides a strong road map for broad assessments and reviews of all the chemicals that are out there. They are not following that road map," he said behind a desk covered with papers about TSCA reform. "The courts are going to really give them a good, strong slap in the face and say, 'You're not utilizing this law to protect public health, you're in fact using it to take a more industry-friendly approach.'" As ranking member on the Appropriations subcommittee that controls EPA's budget, Udall is doing everything he can to keep its chemicals efforts from getting what he considers too far off track. In that role, he has blunted EPA budget cuts sought by the White House and protected the Integrated Risk Information System, an independent chemical testing program that was at risk of shutting down and having its staffers report to Nancy Beck, a former ACC executive (Greenwire, March 22). Along with Rep. Kathy Castor (D-Fla.), Udall is also pushing a resolution of "no confidence," calling on Pruitt to resign immediately. In recent weeks, the administrator has been engulfed in scandals related to his use of a lobbyist-owned condo and his spending on travel, security, office furniture and raises for political appointees (Climatewire, April 9). The "sense of Congress" measure criticizes the administrator for allegedly "helping polluters at the expense of the health, safety, and livelihood of millions of people of the United States" and the "undermining of basic ethics." It has been endorsed by more than 170 Democratic lawmakers but is unlikely to by itself sway Pruitt or his boss, President Trump. "We've done legislatively and appropriations-wise what we can do, but [Pruitt] is still like a bull in a china shop over there, busting everything up," Udall said. He's particularly concerned that Pruitt's alleged disregard for TSCA reform will lead EPA officials who work on chemicals to quit. 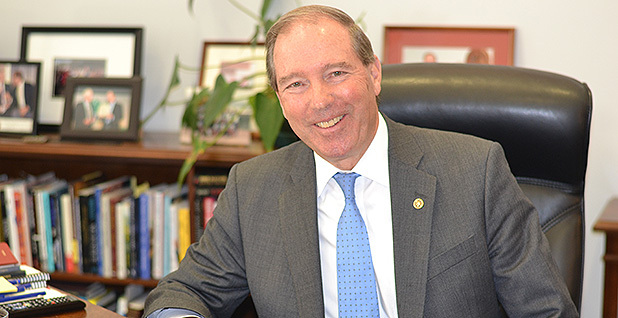 "One of the areas that I think can really hurt an agency is driving off the career employees, hurting your base of knowledge and experience by just showing them that you don't care about the law and where it's headed," Udall said. The disagreement between the Lautenberg law's lead sponsors is a sign of how hard fought TSCA reform was and continues to be, according to Sean Moulton, a policy analyst at the Project on Government Oversight. "Everyone agreed that TSCA was broken, but they had wildly different ideas about what should be done about it," the ethics watchdog group expert said. "And a lot of time and energy and effort was expended over years trying to figure out something that would work. And essentially, for a short time, they got a configuration that they were all willing to agree to and support — at that moment." The election of Donald Trump, which Vitter acknowledged to E&E News was unexpected, has tipped the balance of regulatory power decidedly away from the environmental community's priorities and toward those of the chemical industry. Neither side would now be willing to come to the table, but the TSCA reform deal they made in the Obama era remains on the books. So, according to Moulton, Pruitt's EPA and the chemical industry would rather just ignore it. "This very different take than expected on implementation, or lack of, veers toward the chemical industry's original desires," he said. "It's more in keeping with what they really, truly wanted — their first choice, if you will, rather than this compromise second choice." But the chemical industry may eventually regret its move to undermine TSCA reform, warned Rena Steinzor, a professor at the University of Maryland School of Law. "This is all tremendous bad faith," said Steinzor, who worked on chemicals as a Democratic Hill staffer in the 1980s. "ACC will never enter into another bipartisan deal because it got what it wants and it's free to ignore language. And that's quite a gamble. You don't know what's going to happen in the electoral process." For its part, ACC claims environmentalists are the ones reinterpreting TSCA reform (Greenwire, March 1). Ultimately, experts expect courts and future administrations to play a big role in determining whether the Lautenberg law views of ts conservative or liberal co-authors are more correct. 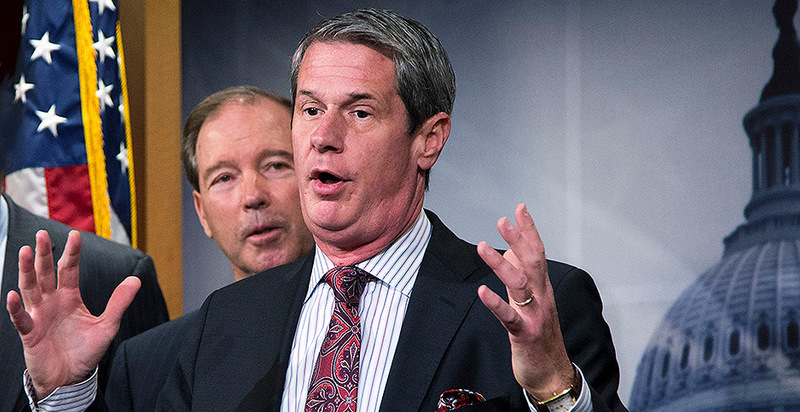 In the meantime, Udall has no regrets about the reforms he and Vitter agreed — however briefly — were necessary to enact. "I still believe he was the right person to work with," Udall said. "He committed to me we were going to put in place a strong law, and we did that."